Well, perhaps not so small. Toting a ‘humble’ 10K-100K follower count, the newly-coined ‘micro-influencer’ is enjoying increased favour by brands braving the choppy waters of influencer marketing. While much easier on budgets than the goliath reaches of its celebrity-brethren, a recent report by CampaignDeus found that micro-influencers achieve a 60% higher engagement rate on average for sponsored posts than those with 100K followers or more. That rate of success is owed to a much more authentic and targeted connection with their followers, while the lower bar to entry means more and more brands are dipping their toes in the water and beginning to work a viable influencer marketing channel into their overall strategy. Attendees at #DMWF can expect this powerful new tribe of influencers to come up in discussion regularly, not least from Flockler co-founder and CEO, Toni Hopponen, who leads a session on how any brand can start using micro-influencers to ultimately drive real conversions. Hey Toni, it’s great to have you on board as a speaker at #DMWF! 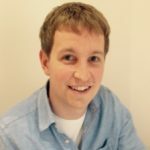 To kick things off, could you tell a bit about what yourself and the Flockler team do? Toni Hopponen: Thanks for having me! Excited about the opportunity to share our views on influencer marketing at #DMWF! The Flockler platform helps brands to collate, analyse and display user-generated content on their services, increasing conversion rates and dwell-time. For example, GlassesUSA’s marketing team has created a ‘social shop’ with selfies from customers and influencers wearing their brand new pair of glasses – all the images are tagged with products too. Today, consumers are co-creating the brand story on social channels, and with platforms like Flockler, brands can quickly harness the power of authentic social content and increase the conversion rates on digital channels. So influencer marketing has become a huge industry, yet it’s becoming clear that big follower counts are not always better, right? TH: You’re absolutely right. Influencer marketing has been a hot topic on digital marketing conferences for the past few years, and we’ve seen brands building campaigns with celebrities on Instagram, Snapchat, YouTube, etc. However, many marketers seem to think that sponsoring an Instagram post or two of a celebrity mentioning your brand is influencer marketing. In my opinion, that’s a one-off advertising campaign to increase awareness – many brands have an existing relationship with celebrities they are using in TV and radio ads, and social media is merely a new medium. Whether we call it influencer marketing or not, the key challenge with the one-off approach is that despite the big follower count and high reach of the sponsored posts, the audience of the celebrity will recognise the posts as ads, and often it’s just one of the many products the celebrity is promoting over the months and years. People follow celebrities, a sports star for example, because of the personality and performance, and it’s difficult to measure the engagement and reach related to the promoted product. Having said that, when there’s a real relationship with a celebrity (who loves your product), and the values are aligned, celebrities can definitely help marketing teams to kickstart and boost influencer marketing campaigns. Micro-influencers are the basis of your session. Could you define what these are and why savvy brands are beginning to realise the power they have over expensive celebrity profiles? TH: In an optimal situation, you already have an engaged audience on social media, and micro-influencers are your most influential customers sharing their experiences using products and services. Nothing’s more powerful than getting your customers sharing their authentic and positive experiences with friends and followers who are your potential customers. If you already have an active audience on social channels, with tools like Flockler, it’s easy to identify the most influential customers and build a relationship with them to amplify the engagement and reach. For example, Planet Fitness, a group of approximately 1,500 gyms in the US, creates content together with their most loyal members – instead of pro athletes, they celebrate normal people, like you and me, trying to achieve their fitness goals, big or small. If you are just getting started with your business or launching a new product, a great way to get started is to build a campaign where you ask customers to mention your user account and someone they love. When a post connects two people close to each other, say, mother and daughter, the engagement on social media is guaranteed. The same post will gather likes and comments from the networks of both. It’s like fuel on the fire; the algorithms of social media channels prioritise posts sparking engagement and comments among friends. Another great option is to use services such as Tribe that might have an existing database of micro-influencers who are using your products and services (or would like to test them out) and are willing to share their experiences with their network. Platforms like Tribe can support the launch and later amplify your long-term influencer marketing campaign too. You still hear the words ‘wild west’ used around influencer marketing today. Do you think we’re getting any closer towards a regulated industry, with standardised pay and reward models in place? TH: That’s a difficult question. Social media channels continue to evolve and develop new features simultaneously with new channels rising (and going down) at a fast pace. A tech nerd inside me is asking if it ever will be possible to develop and maintain regulation matching the unpredictable and constant changes? Every business and marketer is looking for innovative technologies and services to outperform their competitors, and tech companies are quickly building services to add value on top of the latest rising social media channel or release of a feature on Facebook. By default, there will always be ’wild west’ opportunities to exploit where a shiny new service doesn’t have a clear idea of the future development, and there are no best practices to follow. Both marketing teams and tech companies have a massive responsibility on self-regulating the marketing activities. When it comes to ‘wild west’ of influencer marketing, I believe the companies concentrating on building a relationship and collaborating with their most influential customers will be the winners in long-term, and the discussion about payments and advertising regulation will be less relevant going forward. What would be your advice to a brand considering taking a step into influencer marketing; tread carefully, or full steam ahead? TH: It must be shocking, but I’d start by interviewing the most engaged and influential customers over a coffee! A scary real-life discussion. Ask them why they are using your product and services, and why they purchased it in the first place. Gather some images and quotes from the interviews and add them to your website. Then launch a campaign on social channels and other marketing channels and use those pieces of content to encourage other customers (and your employees!) to join with a branded hashtag. If you are using the words of your real customers, it should be relatively easy to engage other customers like them to participate. As a result, you will have a list of engaged customers sharing their experiences, and you can identify the most popular and influential ones. 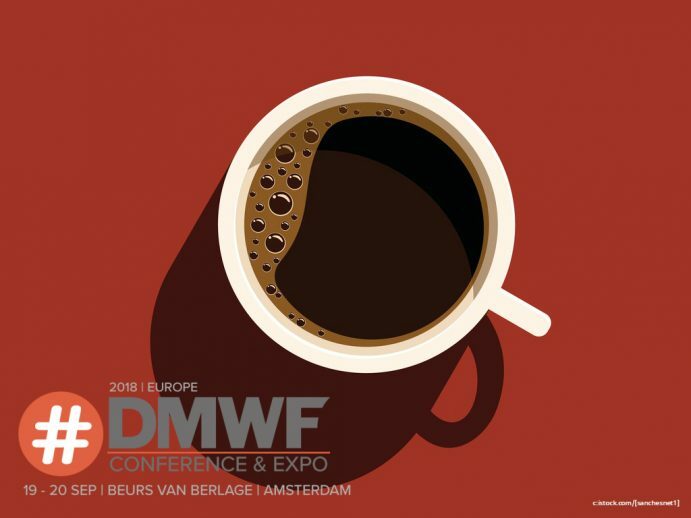 I guess so!… Anything else to add before we see you at #DMWF Amsterdam? TH: Meet us at our stand where we will be sharing an old-school printed version of our Influencer Marketing Checklist helping marketers to plan, create and measure influencer marketing campaigns!